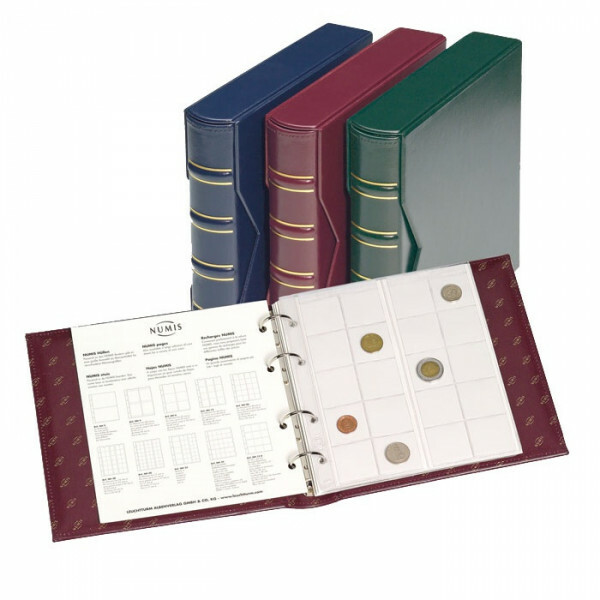 This album includes pockets suitable for 143 coins with varying diameters. 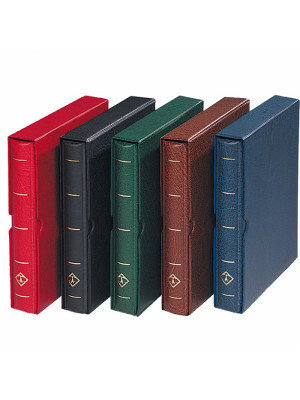 Bookbinder's quality leatherette binder with 4-ring mechanism. Available in 3 colors: red, blue, green. The NUMIS coin albums with slipcase have a size of 230x235 mm. The suitable sheets are available in different arrangements. They protect your coin from all environmental influences. 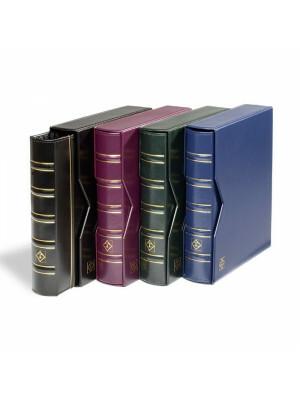 For this collecting system we offer different binders in different colors and versions!